The vacation rental market is growing by over 7% each year, resulting in millions of additional revenue for those with the resources to invest. If you’re interested in upping your annual income, here’s how you can make your foray into Turks and Caicos real estate even more profitable. Getting a phenomenal return on your investment starts with choosing a property in a location that’s both desirable and the right amount of competitive—a city with dozens of homes lingering on the market may prove harder to conquer, but buy a vacation home in a sought-after locale with limited properties and you have a better chance of standing out. Though many people have heard of the Turks & Caicos Islands, few have been to the more remote and infinitely more exclusive South Caicos. 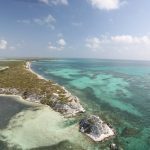 From untouched nature reserves to pristine expanses of sapphire-colored water, South Caicos is a home run for home-buyers shying away from the crowds and commercial aspect often associate with larger islands. This isn’t the time to hone your smartphone skills or try out that new editing app. Luxury vacation home buyers are looking for high-end finishing, breathtaking views and five-star amenities—none of which will shine in the best possible light without professional help. At Sailrock, it’s easy to arrange a photo-shoot with an experienced Turks and Caicos real estate photographer, and put your vacation home in the Resort’s rental program so you can begin realizing the full benefits of your investment. Yes, shoppers are looking for a vacation home and the condition, size and extras that come with your property all matter, but those details are just the beginning. More than anything, people are looking for an experience. What kind of memories will they make? Where will they eat? Are there historical points of interest? Which famous people lived nearby? Weave your narrative into the description of your home. 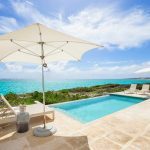 You don’t just have a home, you have a stunning beachfront villa on South Caicos, the island rumored to be the second bit of land spotted by Columbus. Visitors won’t just love the water, they’ll splash in the same coves formerly used as a pirate haven in the 18th century. Indoor/outdoor living is a huge part of what makes vacation homes so special. Give landlocked shoppers and those in cold, snow-coated locales something to dream about with updated, well-appointed outdoor spaces boasting equal parts comfort and opulence. In order to book your piece of Turks and Caicos real estate, people have to know about it. When you place your private villa in the Sailrock Resort rental program you become part of a comprehensive, strategic marketing plan designed to maximize your return on investment. Are you interested in owning property on serene South Caicos? Come home to a wealth of natural beauty and introduce your renters to the same. For more information, contact our friendly and knowledgeable team at Sailrock Living.